Martin Lemelman, beloved Kutztown illustration faculty emeritus, shared some good news. He learned that his graphic novel, Two Cents Plain: My Brooklyn Boyhood was chosen by The New York Society Library as a winner in the 2010-2011 New York City Book Awards. He didn’t even know the book was in the running. Martin was on campus recently and told us he is at work on a new graphic novel project. It is still in the gestation period and he doesn’t want to jinx it, so the project will remain a secret, for now. 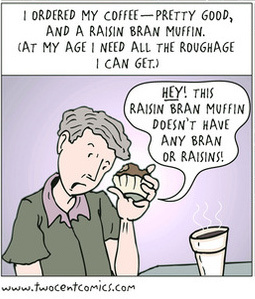 Meanwhile, he has been experimenting with web comics on his blog, www.twocentcomics.com. The panel above will give a sample of the flavor of his latest work. Basically, you run you idea up a the Kickstarter flagpole, and try to entice folks to support you vision. James said a comics artist might offer free computer wallpaper for any donation, a signed copy of the comic for $10, a print for $20 and, maybe, a signed original page for $100. I just popped over to Kickstarter to find a good example of this illustration business model. I searched for comics, found an interesting one. Jim Hill of Portland, Oregon has a wild idea combined with a crisp illustration style, and a good pitch. 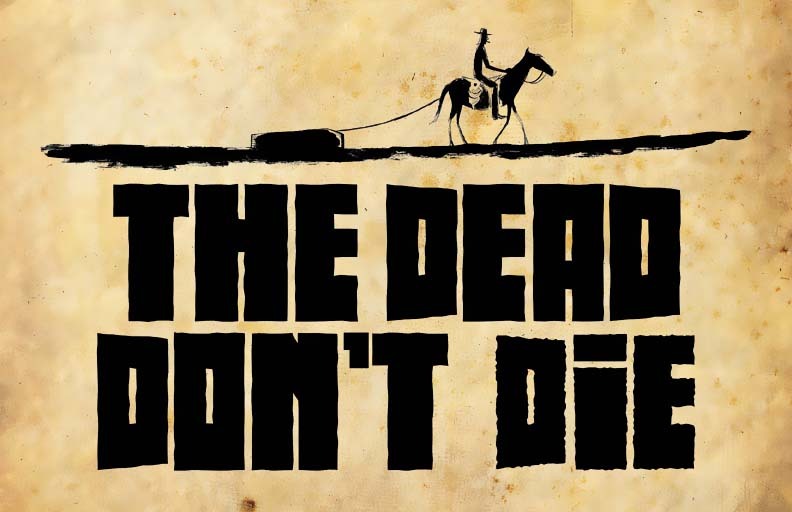 Apparently, it is his thesis project, a graphic novel called The Dead Don’t Die, about zombies in the Old West. At this date, 3/21/2011, Jim Hill already has $2,402 pledged from 56 backers, more than enough to do the book. Of course, not every Kickstarter idea is successful in getting funded. 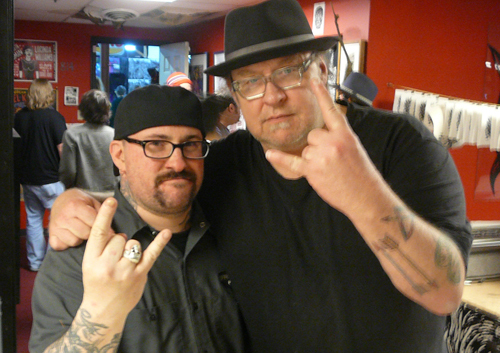 I promised an update on my trip to St. Louis to visit Tom Huck at Evil Prints. Huck hosted the greatest St. Patrick’s party I can remember, and topped that with ‘The Printbangers Ball’ at the Atomic Cowboy. As an alum of Huck’s 2010 Woodblock Bootcamp, I was invited to join in the festivities. On St. Patrick’s Day, the extraordinary artist Tony Fitzpatrick, blew in from Chicago for the festivities. I had met Fitzpatrick once before when he came to Kutztown as a visiting artist around 1990. Huck credits Tony with naming and founding the Outlaw Print movement. The fact that Tony Fitzpatrick left Chicago on St. Pat’s Day gives you some idea of his high regard for Huck and the artistic community Huck has fostered in St. Louis. Huck dearly loves comics, so I made a one-shot comic zine based on his amazing artwork and equally amazing life story. I carved a woodblock for the cover art and the centerfold, but resorted to scratchboard, and India ink for most of the interior pages. 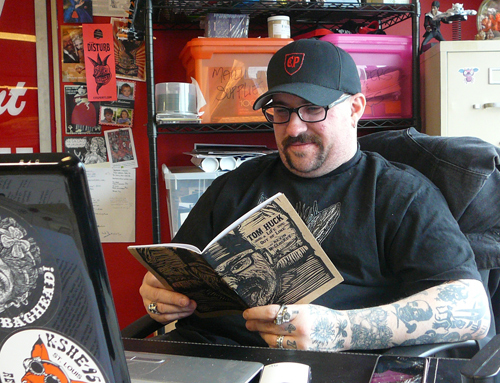 Here’s a picture of Huck reading the zine; I know he enjoyed it. 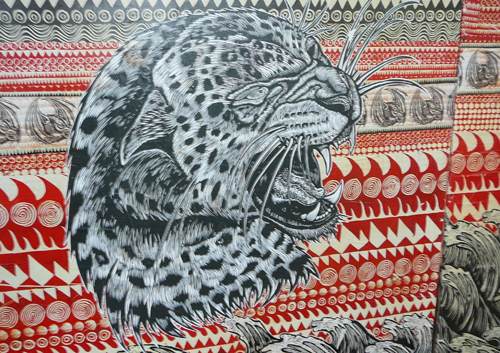 If you would like to study woodblock printing with a master in a fantastic studio for a very reasonable price, Huck’s Bootcamp 2011 is open for enrollment. He’s got two sessions, one in June, one in July. Kutztown printmaking major Josh Dannin is heading out there, hey, maybe you can carpool! Wanna’ buy the zine, Tom Huck: A Life Out of Line? Get in touch with me, or visit Moonpenny Press.